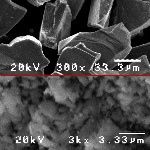 Silicon Carbide now is often used as non-oxide ceramic materials. Because it has better hardness, heat resistance, oxidation resistance, corrosion resistance and thermal conductivity than general ceramic materials. Hence it is widely used in structure of mechanical engineering and seal part of chemical engineering, even in extreme tough surroundings like under strong acid, alkali, high abrasion, high temperature and aerospace. 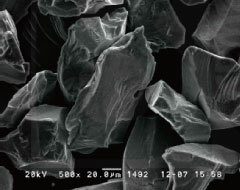 SiC is also known as corundum or silicon-refractory sand. ..Si is produced by smelting with quartz sand, petroleum coke (or coal), wood (green SiC production needs to add salt) and other raw materials at high temperature. 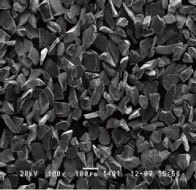 Si is mainly divided into black SiC and green SiC, which both are hexagonal, specific gravity 3.20 ~ 3.25, micro hardness 2840 ~ 3320kg/mm2 .. Silicon is often used as non-oxide ceramics materials. 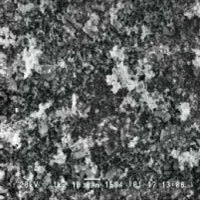 Silicon carbide contains some impurities, including silica, silicon, carbon, iron, silicon and aluminum. 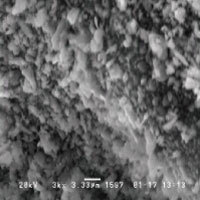 The commercial benefits of Si are high melting point, hardness, and its Chemistry inertia. Applied in grinding ceramic powder and other materials.